Four Patch Posey is probably my oldest UFO and flimsy. It was one of the first quilts I made after the move to Texas in 2006. When we lived in Arkansas, I didn't quilt much. I didn't have a sewing room and had to drag my machine out and put it away all the time. Plus I didn't have quilting friends in Arkansas. I had friends who scrapbooked so guess what I did? I scrapbooked too. 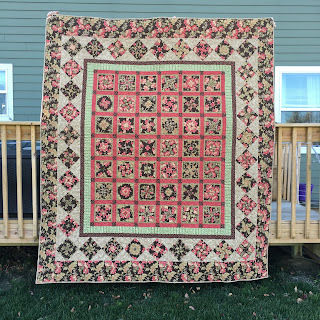 Then when we moved to Texas, I connected with friends and they were quilters, not scrapbookers. 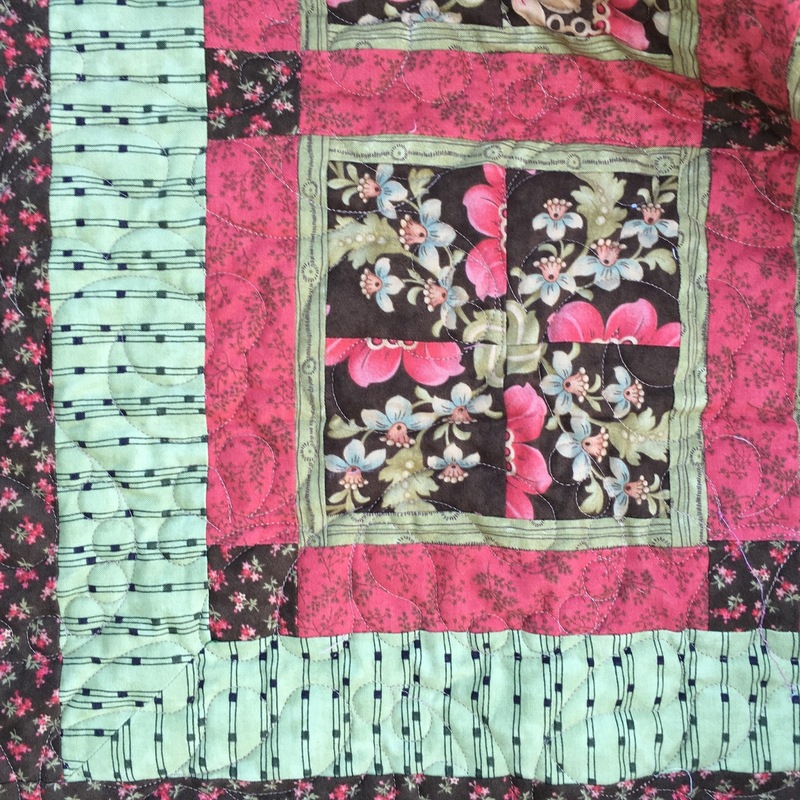 So I quilted again. And I had a dedicated building just for sewing and quilting plus the spare bedroom too. You can read the saga of the Four Patch Posey here. And now it's quilted and no longer a Flimsy. If you're not familiar with the Four Patch Posey Pattern, it's similar to a "stack and whack" but uses a four patch block instead of the triangle shapes. 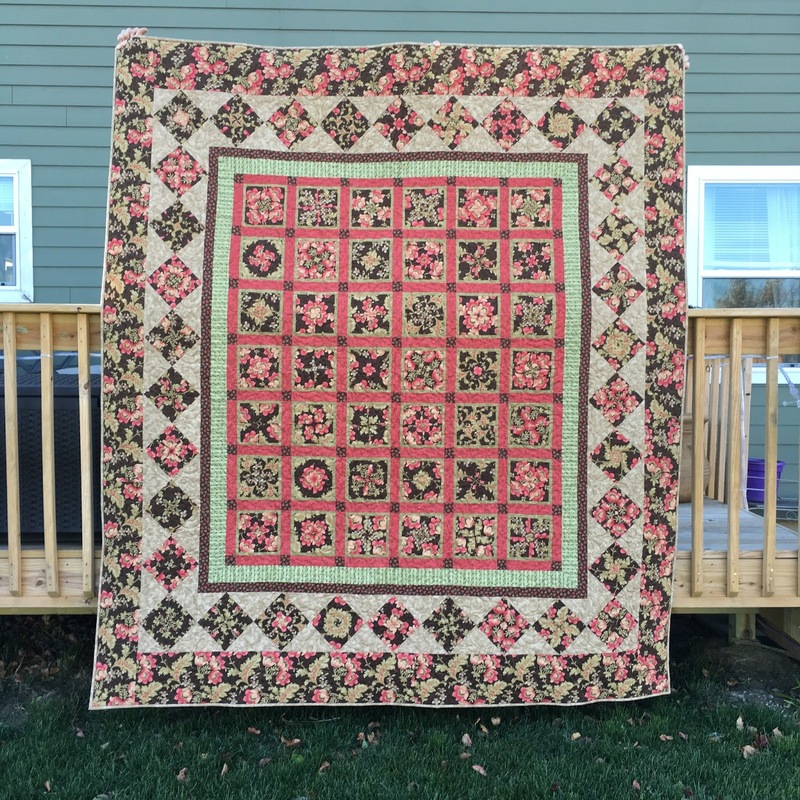 This is my focus fabric that created all the interesting four patch blocks. And here are the two greens together. You can tell they are not the same but they blend together and I'm happy it's not longer a UFO or a Flimsy. It is amazing how that one fabric can create so many looks.